You work hard every day to take your business to that next level. But if you’re not also planning to adequately accommodatethat growth, your business could be hindered operationally and missing out on opportunities when it’s time to expand and soar. 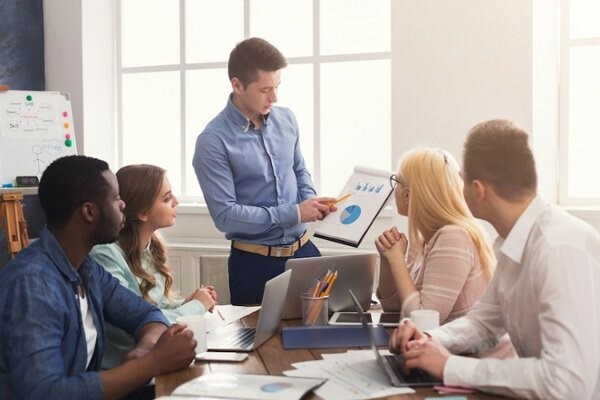 Every business inevitably experiences some growing pains, but there are strategies you can put in place today to ensure that – when the time comes – your company is well equipped to ride the waves of business growth. You already know the importance of staying on top of your cash flow on a daily basis. But when you’re planning for growth, you’ll need to also consider how you’re going to secure additional funding to deal with increased customer demand. Getting a loan or approaching investors will also require you to have information ready, like a business plan, previous financial records and projected earnings, so start putting these aside early. Having enough operating capital to deliver your goods and services (if your business doesn’t collect cash upfront). For example, to purchase enough raw materials or extra equipment. Having enough funds to hire new employees to deal with increased workloads. The ability to secure additional funds quickly, such as with a line of credit. As your business grows, you’ll need a plan to help your teams effectively deal with increased demand and workloads while motivating them to stay and grow along with your firm. After all, employee churn can be extremely costly. According to PWC, the cost of employee turnover in Australia amounts to an estimated $3.8 billion in lost productivity and $385 million in avoidable recruitment costs. You’ll also need to invest in the right talent to take your business into the future, and that starts with identifying what skillsets will be valuable to your business today. Identifying what tools can help your teams be more efficient when work starts to scale up (e.g more comprehensive software). Motivating employees to stay committed as workloads become bigger and more complicated. Upskilling existing or acquiring new talent in knowledge areas that will be valuable to your business later on. It’s important to ensure your company has a strong foundation, so you’re not unprepared for the whirlwind of events sudden business growth can bring. This includes making sure that you’ve got standard operating procedures compliant and down pat, and that all new joiners can get easily trained on essential business functions. It also means ensuring that customers contacting your brand get a good first impression on offline and online channels: research has shown having a one-second delay in your website loading time can cause a 7% loss in conversion. And, only 4% of dissatisfied customers will complain, but 91% of them will never come back. Having a strong online presence so you don’t miss out on lead generation and potential marketing opportunities. Having processes to capture and improve on institutional knowledge from senior staff. Making sure you’ve got processes in place to train new staff adequately on standard operating procedures. Your business solves problems for your customers, so after some time, you should have a good idea of who they are and why they come to you. Nailing down your ideal customer helps you target them more effectively with relevant solutions as you grow. This includes documenting learnings about their buying habits and preferences. Understanding what sets you apart from the competition (that is, why people choose you over your competitors) will help you convince potential customers why they should do business with you. Creating 3–5 key audience personas that form the core of your target market. Nailing down your value proposition. Identifying future opportunities to add further value for customer retention (e.g. new products or services). As a leader in your business, learning how to plan for business growth includes figuring out how to free up your time to focus on bigger-picture activities. This means equipping your teams with the right knowledge and tools to take over some of your tasks in future. Additionally, as your business grows, you’ll need to ensure that an increasing number of contracts, customer records, and other documents are safely stored (for compliance) while remaining accessible to relevant people. With more information available to us today than ever before, it’s crucial to accurately document your processes (as early as possible!) so they can be easily referenced, transferred and improved. This will ensure your teams can work more efficiently, reduce errors and add more value in their roles. Getting a solution to manage an increasing amount of documents securely. Upskilling teams to run departments independently and improve processes over time. Identifying what knowledge areas you can pass on. Many companies wait until they are right on the cusp of business growth before looking into strategies to tackle the upswing. But while trying to expand before you’re properly resourced is invariably counterproductive, that doesn’t mean you shouldn’t start planning ahead. An enterprise content management (ECM) solution can be a good starting point to help you capture, manage and deliver the right information to support your business as it moves to the next level. Request a demo today or download our comprehensive ECM Checklist to find the perfect solution for your business. KYOCERA Document Solutions provides document management solutions with long-life print technology that delivers greater efficiency, resulting in world-class productivity, reliability and uptime.